Operative office in La Spezia in Sviluppo Italia's office complex, next to the SDA building, Centro Diesel (Ferretti Group), and Cayman Yacht Shipyard. 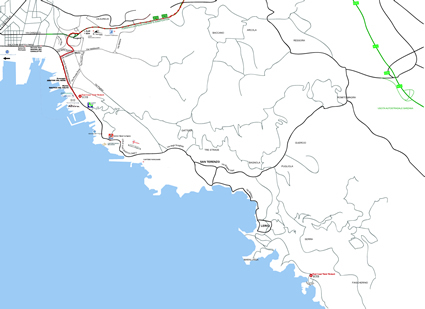 Proceed on the branch road for approximately 3 km, take the exit for Lerici/Porto Est and follow the directions for Porto Turistico Lotti. Turn right in Via Valdilocchi and after approximately 300 metres turn left in Viale San Bartolomeo. ECYB’s offices are opposite Riva – Gruppo Ferretti Shipyard at number 839.